Autumn has arrived in Kansas! It’s time to put away your cargo shorts and t-shirts (or better yet, donate them), and pack your closet with a variety of classy pants and sweaters. To start, pull all your summer clothes out of your closet. Go through and note any items you haven’t worn in the last six months. Drop those into a ‘donate’ pile (don’t forget the cargo shorts). All summer clothes you’d like to wear again come May, fold and place in storage bins under your bed, in your closet, basement or designated storage place. The organize your closet with your fall and cold weather clothes that had been stored away. Sweaters with 1/4 zipper are classy, and it’s been thoroughly proven that the ladies love this look. Whoever said sweater vests are nerdy was wrong. Get your layer on. 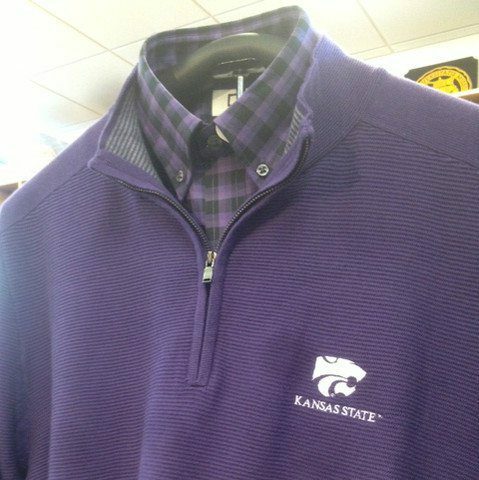 Dress shirts under sweaters, sweater vests and 1/4 zip sweaters is always a classy and attractive look. Long pants are a must after the temperature drops below 70 degrees. Don’t be too disappointed though; dress pants, khakis and dark jeans will keep you warm and stylin’ this fall and winter. 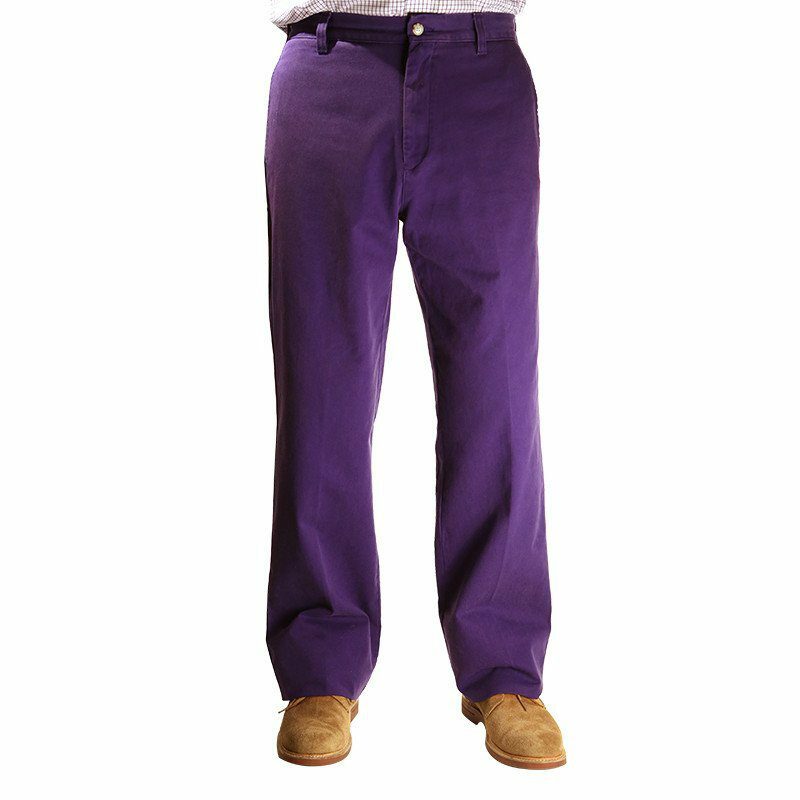 This weather is perfect for purple twill pants. Everytime I wear mine I get asked where they came from! Enough said. You can never, ever go wrong with a sport coat. Just make sure you’re properly fitted. Whoever said black and navy couldn’t go together, again, yet another person delivering false information. 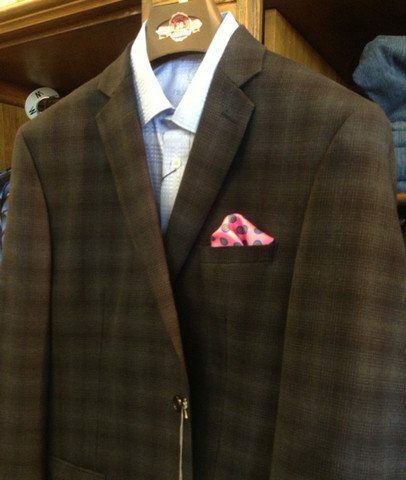 This black and navy plaid sport coat is the epitome of class. 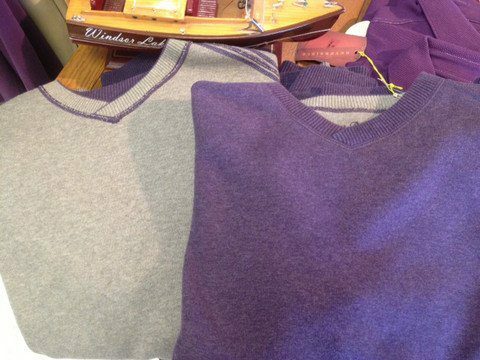 Tommy Bahama offers sweatshirts that are reversible. Two outfits, one item. Just make sure to wash in between each wear! Brighter shades aren’t only for summer. Rock the brights this fall with some apparel from Southern Tide. 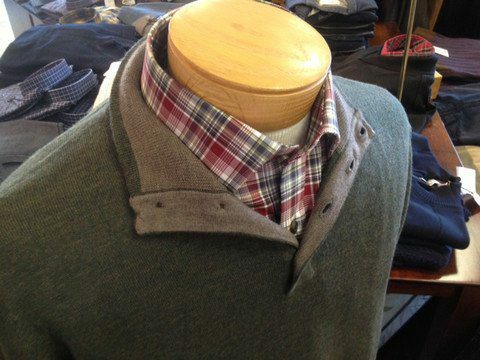 If you’re looking for somewhere to buy fall clothing, visit my friends at Borck Brothers right here in Manhattan! This week they are having ‘Fall Custom Collection’ Special through Saturday. Also, check out their Trunk Show on Thursday October 17th as they will have savings and clothing manufacturer representatives in their store to help you! For more information, go to www.borckbrothers.com.